I am featured today on the front page of Poets and Writers. When we laugh at them, when we celebrate, when we make our lives beautiful, when we give one another joy by loving, by sharing, then we manifest a power they cannot touch. We can be artisans of a joy they never imagined. There is no human being who hasn’t experienced from an early age the fears of those around him or her. Fear and insecurity have touched our lives. But the spiritual life is to discover that there is safety for us. The womb of God is our safe and sacred dwelling place. This is where we can return again and again. Praise the Lord, O Jerusalem! Praise your God, O Zion! For he strengthens the bars of your gates; he blesses your children within you. In our lives there are moments when we realize that, even if we may have done everything to destroy ourselves, we have never lost our true identity as beloved daughters or sons. That identity is never taken away. And that moment of realization is a very, very important moment. Wisdom is the knowledge of Truth in its inmost reality, the experience of Truth, arrived at through the rectitude of our own soul. Wisdom knows God in ourselves and ourselves in God. Thomas Merton. Thoughts in Solitude. (New York: Farrar, Strauss, Giroux, 1956) 73. Once we approach intimacy with God dwelling within, and once we accept others and ourselves as we are, we may begin to speak about ‘happy guilt’ or happy brokenness’. The inner struggle is no longer such a burden but a way to truth, to light and to life. How is it possible to be children of God, embraced by Divine Love and allowed into intimacy with the Creator of the Universe if God hadn’t already welcomed us with compassion, just as we are? 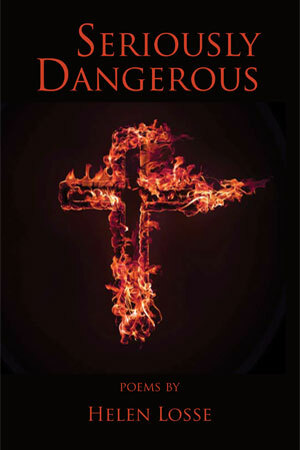 Only two more days to get Seriously Dangerous at the advance sale price. After Tuesday, the price goes up. Act now to save money. There is in my heart this great thirst to recognize totally the nothingness of all that is not God. My prayer is then a kind of praise rising up out of the center of Nothing and Silence. Nouwen’s Voice: The world needs witnesses, prophets, teachers, lovers. The human family needs people who claim God within them, and speak out by living lives of hope and compassion. Every moment and every event of every man’s life on earth plants something in his soul. For just as the wind carries thousands of winged seeds, so each moment brings with it germs of spiritual vitality that come to rest imperceptibly in the minds and wills of men. Nouwen’s Voice: As a beloved child of God, you are unlike any other person. You are a unique daughter of God, a unique son of God. By living your life as a child of God you have a unique statement to make and I encourage you to make it. In my own life I well know how hard it is for me to trust that I am loved, and to trust that the intimacy I most crave is there for me. I most often live as if I have to earn love, do something noteworthy, and then perhaps I might get something in return. This attitude touches the whole question of what is called in the spiritual life, the “first love.” Do I really believe that I am loved first, independent of what I do or what I accomplish? This is an important question because as long as I think that what I most need I have to earn, deserve and collect by hard work, I will never get what I most need and desire, which is a love that cannot be earned, but that is freely given. Thus, my return is my willingness to renounce such thoughts and to choose to live more and more from my true identity as a cherished child of God. The utter simplicity and obviousness of the infused light which contemplation pours into our soul suddenly awakens us to a new level of awareness. We enter a region which we had never even suspected, and yet it is this new world which seems familiar and obvious. (In the parable of the prodigal) I want you to know that you are the younger child, you are the older child, and you are called to become the parent who loves unconditionally. There is a younger child in you that needs conversion, and there is an older child in you that needs conversion. There is also a parent in you that needs to emerge so that you can welcome all those who ‘return’ to you day after day.